The Los Angeles Kings captured the 2014 Stanley Cup, overcoming the New York Rangers in the Final with a 3-2 victory in double overtime of Game 5 at the Staples Center in Los Angeles on Friday night. After starting the series with two overtime wins at home, the Kings traveled to Madison Square Garden in New York and braved the atmosphere of the “most famous arena in the world” to come away with a split on the road and returned home with a 3-1 series lead. Heading back to the raucous and friendly atmosphere of the Staples Center, the Kings seemed determined to finish off their Stanley Cup run in front of their fans. And the action was nothing short of breathtaking. The Kings started strong in Game 5 with an early goal in the 1st period by none other than Justin Williams, a key contributor for LA throughout the postseason. The game quickly shifted in the second period with back-to-back Rangers goals from Chris Kreider and Brian Boyle. The Kings came back to dominate the third period, but Rangers goalie Henrik Lundqvist denied several scoring chances for LA before Marian Gaborik finally tied the game 2-2 on a powerplay with his 14th goal of the playoffs. After an evenly matched - and intensely entertaining - first overtime period, a winner had not yet been decided. The game went into double overtime, making Game 5 the longest in LA Kings history. At 14:43 in double overtime, Alec Martinez scored the Stanley Cup-clinching goal on a rebound off a Tyler Toffoli shot to give the Kings the 3-2 victory – the same score they opened the series with – to send the Kings and the Staples Center centre into a frenzy. Justin Williams was named the Conn Smythe Trophy winner for his stellar playoff performance that saw him tally nine goals and 25 points, while capping off the Kings’ championship run with a goal in Game 5 and leading the Final with seven points. The championship is the second title in Kings’ franchise history, and the second in the last three seasons, following their title in 2012. 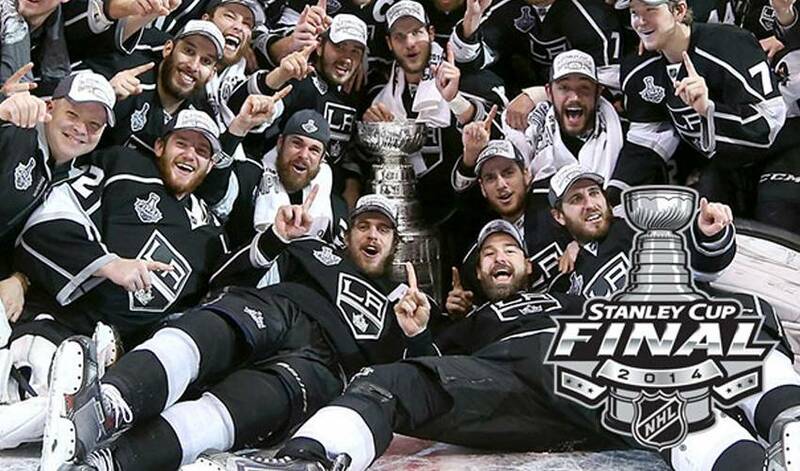 Congratulations to the 2014 Stanley Cup Champion, Los Angeles Kings, from the staff and members of the NHLPA.